Natural soil profile means the layers of soil that have been made or accumulated naturally and without any intervention of human being. To make it clearer, let us examine what is soil profile? You might have seen during excavation of land by a bulldozer or soil excavator, that there exist several layers of soil. Some authors and scientist call it soil horizons. The arrangement of soil horizons is actually called soil profiles and if these layers exist naturally then it is declared as natural soil profiles. These are developed in the materials that are gradually weathered from the underlying rock. It is important to note that these soils are not common. This is because, most loose rock is eroded. However, some evidence can be seen where great depths of transported material have formed the parent material as in the boulder clays left behind after the Ice Age. If you dug a hole in such soil, it shows gradual transition from un-weathered rock to organic matter rich topsoil. After the fragmentation of rock and soil particles are formed as a result, they become easy victim of erosion. These soils are then carried out from the place of their formation to sites that are miles away through the process of erosion and deposition occurs. Interestingly, they can be identified easily by a definite boundary between the eroded material and the underlying rock and its allied rock materials. In case, when more than one soil material is transported to the site, as in many river valleys, several distinct layers can be seen. These soils are very fertile and best medium for rooting of plants in agriculture. As we know soil is developed from parent material rocks. So the nature of the soil is largely determined by the characteristics of parent material. However, with the passage of time the soil interact with climate, drainage, topography and vegetation. This interaction gives rise to characteristics of soil profile. In this way the soil that develops can be described in terms of characteristics of different horizons which make up the soil profiles. There are 5 horizons in soil. These are O, L, A, B, and C.
The ‘O’ and ‘L’ horizon composed of the organic matter that is found on the top of the mineral soil. It is also commonly referred to as litter layer. In the upper layer of soil, there is horizon ‘A’. It is the horizon where the components are washed downwards. It is usually darker in color. This represents high humus content presence. After that, there is a lighter layer below it. In this layer, fine materials tend to accumulate and are called as horizon ‘B’. Horizon ‘B’ is also called as illuvial horizon. Under cultivation scenario, the horizon ‘A’ gets it self-align with the topsoil while horizon ‘B’ aligns with subsoil. Below these 4 horizons, there is ‘C’ horizon which is also termed as bedrock. In this horizon, un-weathered layer of rock is present. 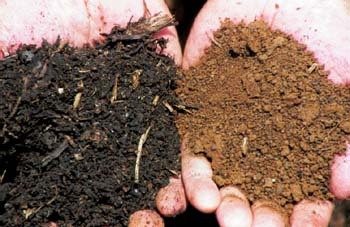 Naturally, the organic matter is present more at the topsoil rather than deep soil. Its concentration gets less as we move downward. When cultivation is carried out, the organic matter is reshuffled that creates a distinct layer of topsoil and subsoil. These layers have a boundary at plough depth. As the organic matter is darker due, so the layers get distinct also by darker soil at topsoil level and less darker soil at subsoil level. Next: What can you do with Agricultural Business Management Degree?